How can the Body and Blood of Christ, without ever leaving heaven, come to be really present on eucharistic altars where the bread and wine still seem to be? Thirteenth and fourteenth century Christian Aristotelians thought the answer had to be "transubstantiation." 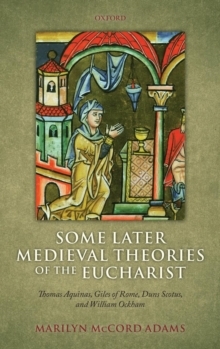 Acclaimed philosopher, Marilyn McCord Adams, investigates these later medieval theories of the Eucharist, concentrating on the writings of Thomas Aquinas, Giles of Rome, Duns Scotus, and William Ockham, with some reference to Peter Lombard, Hugh of St.
Victor, and Bonaventure. 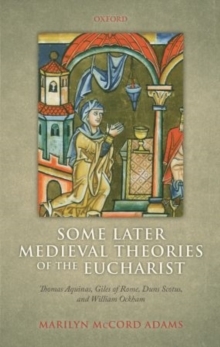 She examines how their efforts to formulate and integrate this theological datum provoked them to make significant revisions in Aristotelian philosophical theories regarding the metaphysical structure and location ofbodies, differences between substance and accidents, causality and causal powers, and fundamental types of change. 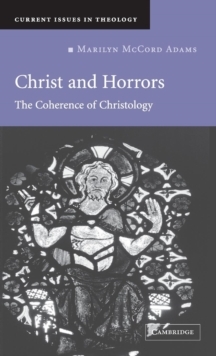 Setting these developments in the theological context that gave rise to the question draws attention to their understandings of the sacraments and their purpose, as well as to theirunderstandings of the nature and destiny of human beings. 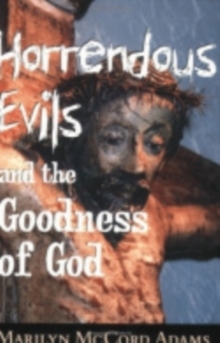 Adams concludes that their philosophical modifications were mostly not ad hoc, but systematic revisions that made room for transubstantiation while allowing Aristotle still to describe what normally and naturally happens. 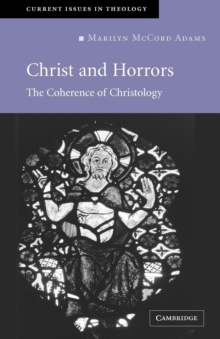 By contrast, their picture of the world as it will be (after the last judgment) seems less well integrated with their sacramental theology and their understandings of human nature.